We live in a country where we are encouraged to 'slip slop slap' and that includes wearing an appropriate hat to shield our heads from the sun's ultraviolet rays. 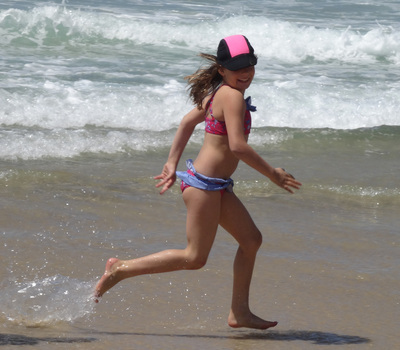 When choosing a hat to wear for the beach, what we need is one that is practical and stylish. One such hat that comes with a personal recommendation over others, is the rather amazing Preanie, a new design by Silent Earth. 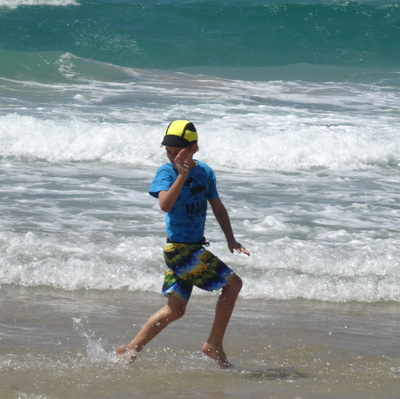 Most hats we wear to the beach have a tendency to blow away on windy days, and can be inappropriate for seawater, leaving marks on unsuitable fabric. The Preanie is made in Brisbane, using 100% neoprene material that you may recognise as wetsuit material. The Preanie, in my experience, is the only hat that stays put during active play. 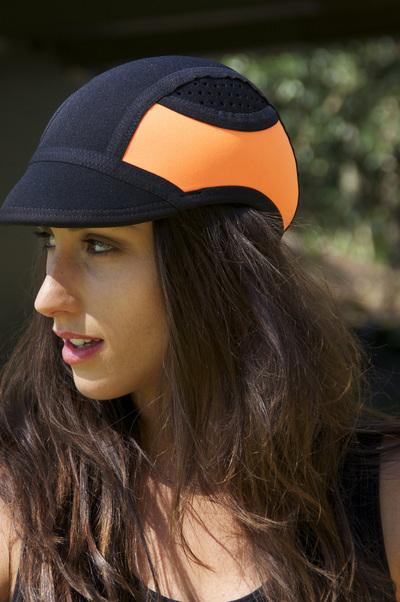 Its firm fit, coupled with waterproof fabric, make the stylish Preanie an excellent choice of headwear for water-sports. The Preanie is ventilated, quick dry, resistant to heat and weathering. You can buy the Preanie in toddler, child and adult size, with a selection of colours to choose from; yellow, orange and pink. 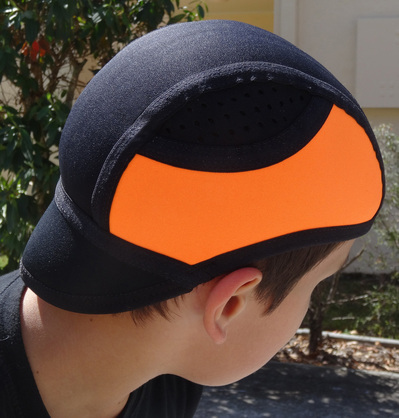 They have a cap rim which can be worn at the front, on the side, or in reverse. Silent Earth launched the Preanie in October 2013, and at the moment they are only available to buy via Silent Earth's online shopping cart. As word of the wonder beach hat spreads, Silent Earth hopes to soon see retail stores stocking Preanie's by the end of winter. In the meantime, if you would like to order a Preanie, all sizes and colours retail for $59.95 with $10 postage. You can order yours here.